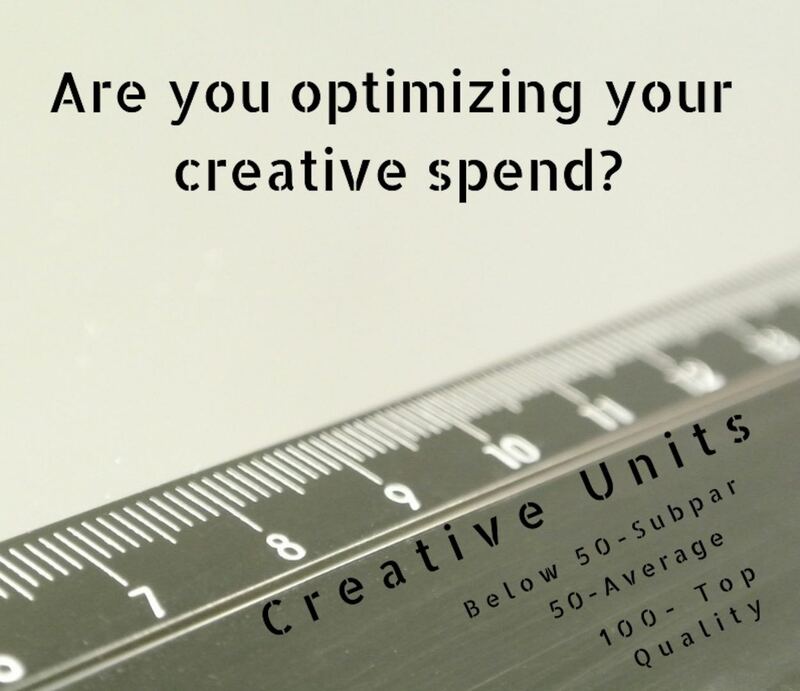 The greatest content creators and writers know how to optimize what I call “creative spend,” which is measured in creative units, or CUs. Visualize one of those old-school wooden rulers used in elementary schools. Picture it having 100 CUs. When you’re around 100, your creative energy is at its peak, and you complete high-quality work in less time. If you’re around 0 CUs, your creative energy is depleted. Here, the work is unacceptable and takes much more time. For simplicity, say the average content creator can finish work at around 50 CUs. The key word here is average (a.k.a., stale, boring, dull, or however you want to describe it). These are the ones who just get by and do nothing to scale a business. Anything below 50 and the content fails. The ideal situation is to keep your CUs well above 50 and as close to 100 as possible. And the longer you remain there, the more quality work you’ll complete and in less time – giving us back a bit of the only thing we can never get back. 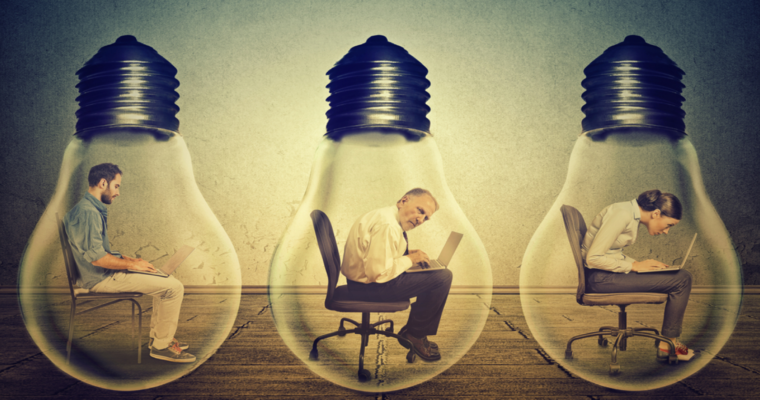 How do you keep the creative energy hypercharged all day? Create new daily habits to recharge those CUs, and replace the negative habits that quickly rob your CUs inventory. The smallest things like replying to a social media post or an email may seem unharmful, but they deplete creative units. Say you are on Facebook just before you start a project that requires much creative energy. You were fully charged with 100 units before this action but now lost 30 – providing you with 70 units of creativity. You will complete the work, but not in the best possible way. And this is just one example. Others include distractions from co-workers, daydreaming, or answering an unknown phone call that you know will be somebody offering life insurance. There are two ways to optimize your creative spend so you create only the best content in the least amount of time. 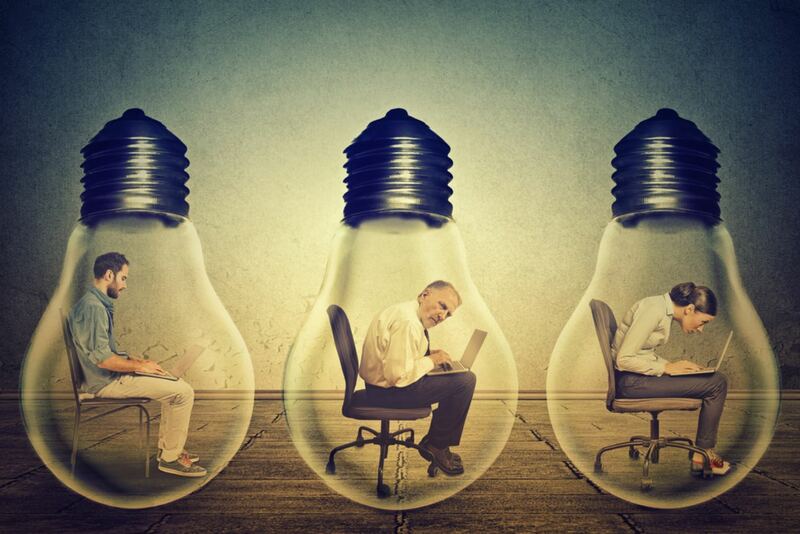 Either you do things that allow your creative units to recharge, thus taking them back. Or you don’t deplete them at all by using certain tactics throughout the day/week. 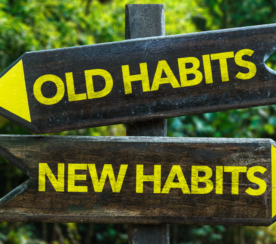 Both of these can be fully achieved by creating a new set of daily rituals that eventually turn into habits. What follows are 11 habits that great content creators utilize to always work within 100 units of their creativity. One for all content creators, regardless if you produce video or illustrator. And one specifically for writers. I spent the past two decades making money as a writer, and have trained people about how to write everything from emails to white papers. Writers continue to take the brunt of most creative tasks at businesses, especially SMBs where budgets are slim. This is exactly why I dedicated a few habits just for the writer. I’m no doctor, and far from a health expert. But it’s easy to understand that if you don’t feel your best, you won’t create your best content. I had lived a bulk of my early 20s as a musician and wannabe fiction novelist, spending serious time in barrooms thick with smoke and a drink always near. I also only slept for about three hours each night. I was never overweight or sick, but looking back, my full potential was never in reach. My CUs were depleted through many fun but unproductive activities. This all led to a nervous breakdown in my late 20s that became the proverbial wake-up call. Health became a priority, and even more so when I launched my agency over two years ago. Nowadays if I don’t perform at my best, my business fails. And you simply can’t perform your best if your not both physically and mentally fit. Physical fitness is simple – eat well and exercise. Mental fitness is a bit more challenging – especially for content creators who must exist near those 100 CUs daily to achieve true success. But mental fitness, which for content creators is the ability to sharply focus with clarity, relies on physical fitness first. With that said, to have a sharp mind begins with physical fitness. Of course, some unfit content creators exist, but if you’re physically fit you’ll enjoy a lifetime of optimal content creation, and can capitalize easier on developing the following habits. During creative hours, make it a habit to create distraction-free time that will allow your CUs to remain high and your mind to get into a super deep focus. Become truly distraction-free – don’t check emails, text messages, social media feeds, etc. Make this a habit, and your content production will skyrocket – in both quantity and, more importantly, quality. If you’re like most content creators, you work via computers with your phone nearby. Make sure all notifications are off for both computers and other electronic devices. Only work in one screen or browser window. For deep focus, anything that may cause distractions must be turned off. Also, notify co-workers and/or bosses when you’re in your distraction-free modes. Email and social media are certainly the biggest culprits of sucking up precious creative units, but office distractions are definitely the next. How long should you spend in your distraction-free creative time zone? This varies for every content creator – and for some, the time may vary on a project-by-project basis. For example, if I’m writing about business, self-development, writing, or motorcycles, I can remain non-exhausted for up to three hours. But if I’m creating content strategies or editing blogs for clients, sometimes my maximum time for peak performance is around 90 minutes. This doesn’t mean you only have three hours or 90 minutes of peak creativity during any given day. This only means you have to replenish your CUs by doing something else for a certain amount of time. This may be a 15-minute walk around the block, a non-digital reading session, washing dishes, or cutting down a tree. It doesn’t matter the task of the break; what matters is that you get your mind off what you’re doing for a quick recharge. For some, it may be tough to completely replenish their CUs, and they may only get one extra period of high energy to work on their project. 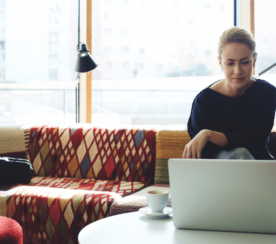 How often you can replenish your CUs during a day depends solely on your approach – if you remained distraction-free and are feeling good, you can do this all day. If not, don’t worry; the more you make it a habit to recharge your CUs throughout the day, the more periods of creative energy you’ll have to finish your content projects. Don’t wait for those proverbial creative juices to start flowing or that muse of yours. Consistently block time into your calendar every week or day, depending on how you manage your workflow. Again, don’t wait for a creative awakening – initiate it daily, and this ritual will become a habit and allow you to produce more work – and more quality work – on a consistent basis. After a great night’s sleep, the mind is fresh, and this is when you can truly take advantage of your most creative units. On my “creative” days – say when I need to edit a final draft of something important – I refuse to check email, social media, or even my phone until all my creative work is complete. This sometimes goes through 3 p.m. – even if I’m up at my usual 6 a.m. to start work. As you can imagine, this is also super refreshing because you can’t worry about the things you don’t know about. I say “Try” in the subheading because some people still have other times when their creativity is highest. I used to have my peak creativity from 11 p.m. through whenever I went to sleep, but after starting my own business, priorities changed and so did my mind’s freshness times – mostly because of the healthier habits I developed such as a strict sleep schedule, dieting, and biohacking. I still do some late-night work, but it doesn’t treat my sleeping patterns correct. Again, it’s all rituals I changed to create habits that would help me to capitalize on my creativity while optimizing my health and life. Another tactic I use is working after short naps. Einstein was the king of naps, and his creativity was obviously high at all times. I sometimes take 15-to-20-minute naps before I have to create some content, and it energizes my freshness. This is a hack I use over and over for projects that I start during the middle of the day. Again, I like doing things in the morning with a fresh mind, but meetings need to go on, and unexpected events happen. After such occurrences, most content producers are drained, and the day is a waste. Instead, you need a hack, and that’s where slowing the mind drastically before starting or continuing a project can help supercharge your creative units. If I have something that’s going to use nearly all of my creative spend for that day, like back-to-back client meetings, I’ll spend an hour or so doing something that has nothing to do with my upcoming project. Make it something you enjoy doing – a downtime that can shake your mind off the project in a second. This can be a hike or jog around town; for others, it may be video games or cooking. It doesn’t matter what the downtime is – just get it done. My personal favorites are a hot bath while reading, a fast motorcycle ride, or a blues guitar jam session. Also, consider time limits. An hour is what works perfectly for me; I can then head into my creative zone with complete energy and get much quality work completed in less time. 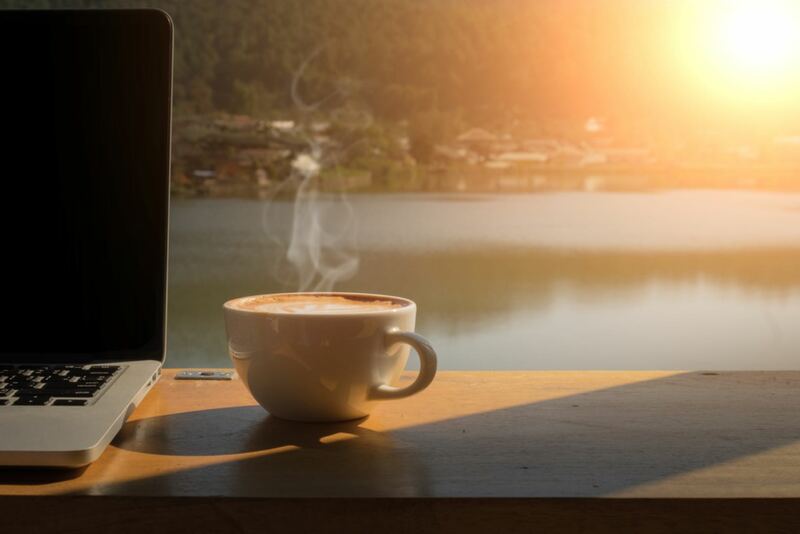 Others may need more or less time; find what works best for you, and if you discover this simple acts of enjoyable downtime builds more energy for your project, make the acts a ritual that will turn habit. Regardless of the type of business, writers typically absorb most of the creative work. And for writers to succeed, they need some serious time to optimize their CUs. Here are a few healthy habits that all writers can benefit from. Don’t live a healthy lifestyle. Are not capitalizing on their most creative times to write. From working with myself and many writers, I’d argue laziness is the main culprit of writer’s block, and laziness is a primary outcome of depleted creative units. 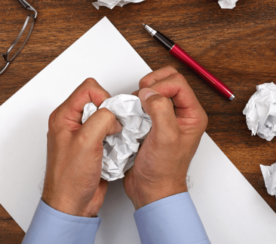 Make it a habit to deny any delusion of writer’s block. The only issue you have is lack of CUs – that’s it. Sometimes all of the energy is there, and the CUs are maximized, but the words won’t flow. Try developing a habit to simply start writing about anything pertaining to the subject. Just get those fingers moving. Start babbling on about what you know and is easiest at first. Don’t worry how sloppy the initial draft is; simply get your thoughts flowing. Sometimes it only takes the physical movement of the fingers on the keyword to get your words flowing. From there, ideas will start to take shape. 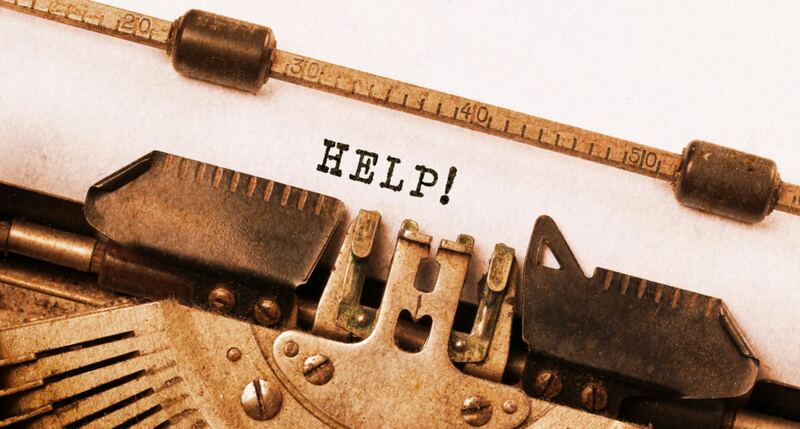 Unless your a novelist, don’t go all Kerouac and write stream-of-conscious style. Strong online writing – think blogs, service pages, newsletters – need organization for both user experience and search purposes. That takes us to the next habit of great content creators. This is a simple process that writers have used for centuries. When you outline a piece of writing, you are forced to organize the information in smaller blurbs. This makes arranging them into the most coherent layout a simple task. In one quick search, you’ll find multiple ways to outline any type of writing, from fiction novels to essays. But let’s focus on the typical writing that takes place every day – blog-style articles. The arrangement of creating each outline item change constantly. Sometimes I write a conclusion and support it with sub-headings before writing the title (hence why it’s a “working title”) and intro, and sometimes I do things the exact opposite. It all depends on prior knowledge to the subject, or what you have just learned from research. This also plays into SEO because those subheadings turn into header tags, where you can further insert important keywords, and it helps to organize the information for search engines. I wrote about writing for SEO over and over, so I’ll keep this one from a strictly content creation perspective. Back to creative units – it’s wise to spend as much creative energy on this outline as you do on the writing itself. Once the first draft is complete, it’s time to edit. And edit again. And again if necessary. Always approach the final edit after at least a full day away from the subject, and complete the final edit when your creative units are at peak. For me this is the early morning of my “creative” days – I don’t check email or news or my phone until I have completed my final edits. Make it a habit to read daily. Audiobooks and podcasts are great for learning, but if you want to write well, you must read. The more you read, the more you’ll absorb all the elements of writing, including syntax, voice, the organization of topics, etc. The more you read, the better you’ll write. Make sure to mix in books on writing. You want to read the great ones such as Zinsser’s “On Writing Well” and Roy Peter Clark’s “Writing Tools,” but there’s something to learn in the lesser-famous titles. Yes – even the ones you find on the discount rack at your local Barnes & Noble. You may only find one snippet of helpful information in some of the less-known books on writing, but that snippet may add another writing hack into your life, something that is more valuable than you’d expect due to the unpopularity of the book. And if it’s super dry, go all 80/20 and browse through the chapters for the valuable information. Ernest Hemingway wrote standing up. As did Charles Dickens and Winston Churchill. And they did this long before companies began generating revenue on stand-up desks. After two decades of writing, this past January I finally tried one that can easily transition from a standing to sitting desk. It was a game changer, not only for my writing but my posture. Standing keeps more energy flowing throughout the day, and nowadays I typically spend 80 percent of my working day on my feet. It’s become a new habit that helps me produce more quality content in less time. The top content creators understand how to hyperactivate their creative zones, and remain within peak CUs throwout the day. And it’s all because of the habits they create along the way – ones that keep the energy high and the mind and body sharp. These types not only produce more quality work – they do so in less time, something nobody can can’t get back in life. This opens time for other tasks, whether it’s another project to earn more, or hanging out with loved ones. And this open time can be spent with zero stress about getting a lingering project completed – all because of some simple daily habits that optimize your creative spend.